Online master's programs at schools across D.C., Maryland and Virginia in the field of computer science rank among the best in the country, according to new rankings of the best online college programs from U.S. News and World Report. WASHINGTON — Online master’s programs at schools across D.C., Maryland and Virginia in the field of computer science rank among the best in the country, according to new rankings of the best online college programs from U.S. News and World Report. All told, a half a dozen programs at schools in the broader D.C. area ranked in the top 50 nationwide for online computer science programs. That includes Virginia Tech, whose tech-focused online program ranked No. 3. The school is currently building a $1 billion “innovation” campus in Alexandria, Virginia, near the site of the future second headquarters of digital giant Amazon. The online graduate computer science program offered by Johns Hopkins University’s Whiting School of Engineering was ranked No. 5. Programs run by local schools also ranked highly in the areas of education and nursing. Overall, U.S. News ranked more than 1,500 accredited online degree programs and ranked them across several categories. U.S. News, which has ranked online degree programs for the past eight years, said the rankings were based on a range of factors, including student engagement, services and technologies, faculty credentials and training. The rankings also relied on expert opinions about the academic quality of the programs. 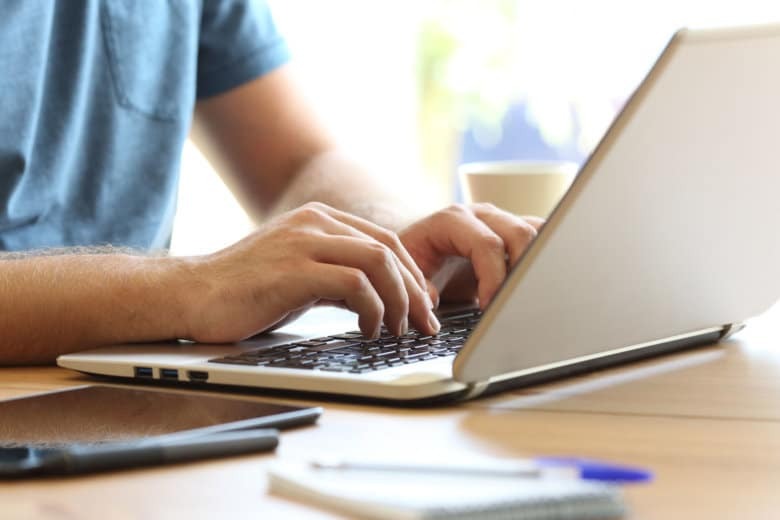 “Online programs can offer a flexible learning environment for students who have to balance classes with working a full-time job, caring for their family or other responsibilities,” said Anita Narayan, managing editor of Education at U.S. News in a news release. She said the rankings can be used by students to compare programs and find one that best fits their needs. The categories included the best online bachelor’s program and online master’s programs in the fields of business, computer information technology, education, engineering, MBA and nursing. U.S. News ranked Embry-Riddle Aeronautical University as the best online bachelor’s program overall. The highest-ranked local school for an undergraduate online program was George Washington University’s, which ranked No. 20. The top-ranked local school was the University of Maryland College Park’s online MBA program through its Robert H. Smith School of Business, which ranked No. 8. George Washington University’s online MBA program ranked No. 40. In the category of non-MBA graduate business programs, Georgetown’s McDonough School of Business ranked No. 5. American University’s Kogod School of Business and George Washington University also ranked in the top 50, coming in at No. 39 and No. 45, respectively. Virginia Commonwealth University’s online master’s program in education ranked No. 3 this year, shooting up from No. 115 last year. George Washington University ranked No. 22 and George Mason University came in at No. 42. Johns Hopkins University Whiting School of Engineering was ranked No. 14, the highest showing for a local school. Virginia Tech was ranked No. 16. University of Maryland’s A. James Clark School of Engineering was ranked No. 20. Rounding out local schools in the top 50 were George Washington University, which was ranked No. 28; the University of Virginia at No. 30; and Virginia Commonwealth University at No. 48. Johns Hopkins University’s online maser’s program was ranked No. 1 in the country — up from No. 5 last year. Two D.C. schools’ programs made the top 10. George Washington University was ranked No. 6 and Catholic University of America was ranked No. 10.